Join us in congratulating the award recipients who were recognized at the 2018-2019 winter athletic banquet held March 17. We thank both the coaches and the players for their dedication! 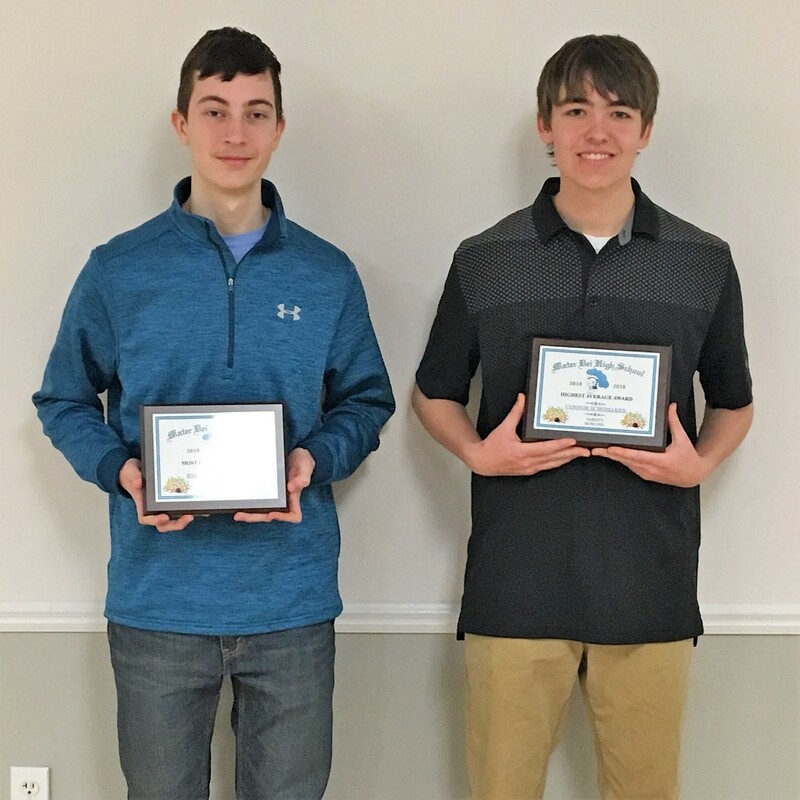 At the winter athletic banquet held March 17, bowling award recipients were (left) Ryan Vogelbacher (Most Improved Award) and Connor Schomaker (Highest Average Award). Luke Plage (Best Spare Percentage) was unavailable for the photo. 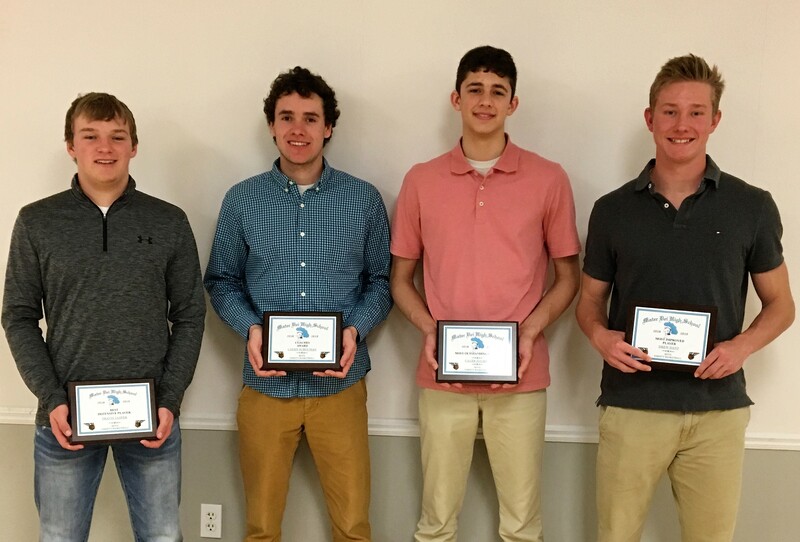 At the winter athletic banquet held March 17, boys basketball award recipients were (from left) Travis Jasper (Best Defensive Player Award), Caydn Schuchman (Coaches Award), Caleb Zurliene (Most Outstanding Player Award), and Drew Dant (Most Improved Player Award). 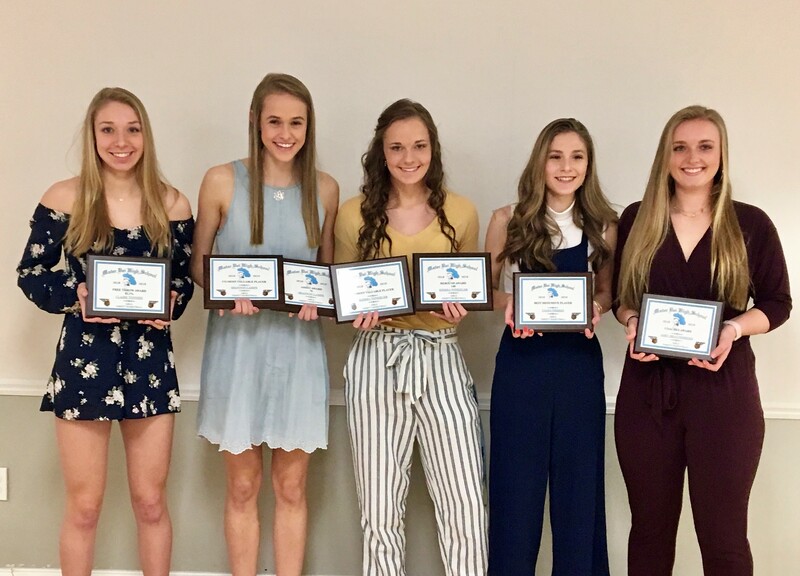 Mitchell Haake (Best Offensive Player Award) was unavailable for the photo. 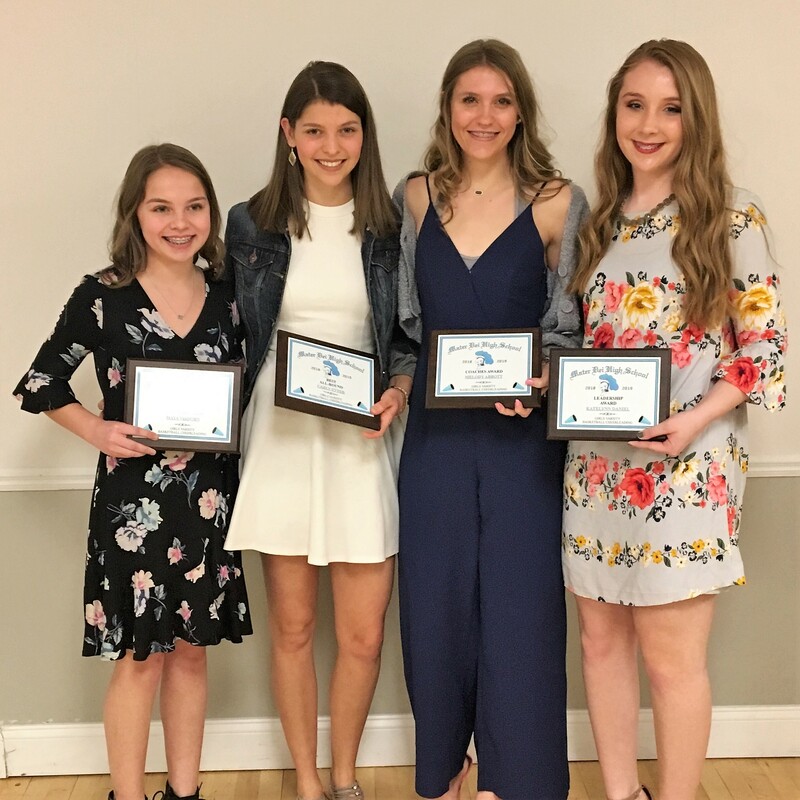 At the winter athletic banquet held March 17, cheer award recipients were (from left) Maya VanDorn (Most Improved Award), Carly Etter (Best All-Around Award), Melody Abbott (Coaches Award), and Katelynn Daniels (Leadership Award).